Madagascar is not widely known for making chocolate, at least not like the chocolate nations of Switzerland and Belgium. But as most chocolate experts know well, Madagascar is a high quality cocoa producing nation boasting two major bean-to-bar chocolate factories, making especially dark and above all delicious chocolates from naturally organic cacao grown in the northwest Ambanja region of the country. Madagascar has in fact a long history of chocolate production, dating back to the French colonial times, 1937 to be precise. In those days, Madagascar was a major cocoa exporter in supplying a metropolitan France. Today Madagascar's cocoa production is tiny in comparison to for example Ivory Coast, which produces about 38% of the world's cocoa. Almost all cacao grown in Madagascar come from an area about 50 kilometres in radius and represents less than 1% of the world's cocoa production. The cacao plantations can be found in the Sambirano region within the Ambanja district. The area is named after the Sambirano River which runs from the foothills of Madagascar's highest peak Maromokotro through the Sambirano Valley and the countryside and eventually into the Indian Ocean. Due to natural sesonal flooding of the river, the soil along the Sambirano riverbed and its surrounding cacao plantations are highly enriched with minerals and nutrients. Unlike cacao producing regions in other countries, the Sambirano region is unique in that it yields cacao all year round. There are plenty of Criollo (the highest quality cacao beans), Forastero (the most commonly found variety) and Trinitario (a cross between Criollo and Forastero). Most cacao plantations in Madagascar are small farms run by families who have been growing cacao in their natural environment without use of fertilisers and mass farming methods for generations. While slave labour is commonly reported in the cacao industry, especially in Ivory Coast, it is non-existent in Madagascar. Much of Sambirano's cacao trees stand on former fruit plantations dating back to the French colonial times. 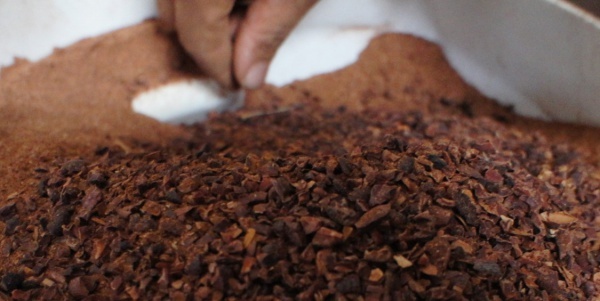 The resulting cocoa has hints of citrus fruit and is naturally sweet, which makes the Malagasy cocoa especially suitable for production of non-bitter dark chocolate without use of excessive sugar content or other additives. Furthermore, the final Madagascar chocolate product is usually rich in antioxidant flavoinoids as well as other healthy and reputedly aphrodisiac ingredients found in high proportions in pure Malagasy cacao. Chocolaterie Robert and Cinagra are the only two bean-to-bar chocolate producers in Madagascar. Their chocolates are of single origin, using cacao grown in Madagascar with their products made and packaged entirely in Madagascar. Chocolaterie Robert dates back to 1937, when a French couple, Mr and Mrs Robert, set up Madagascar's first chocolate factory in Brickaville. 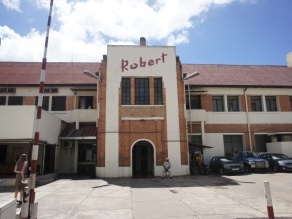 Today, Chocolaterie Robert's bars can be found everywhere in Madagascar, from small village shops to upmarket confectionery stores in metropolitan areas. In 2006 Chocolaterie Robert's Mora Mora and Sambirano brands respectively won the Chocolate Academy's Silver Cup and the Best Buy Ethical Award. In 2013 Robert launched a range of bars branded Chocolat Madagascar intended mainly for export. 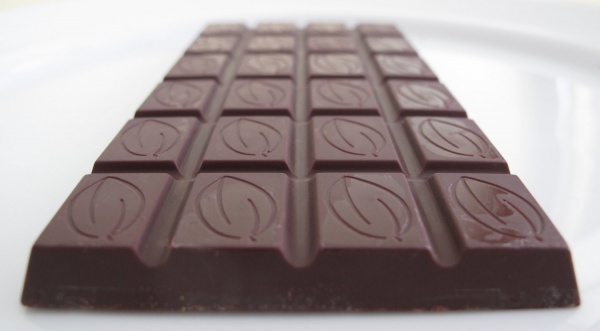 The more recently established Chocolaterie Cinagra has been making chocolate at their Antananarivo based factory since 2006, also using single origin cacao grown on plantations within the Sambirano region. 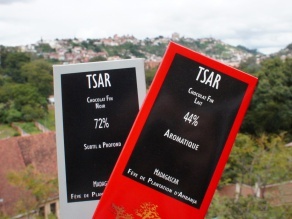 In 2009 their 63% cocoa based Tsar bar won first price at the Salon de Chocolat Paris in France. Since 2008, Cinagra produces chocolate for Madécasse - a US importer and brand, sold primarily in the US and Canada as well as Germany. 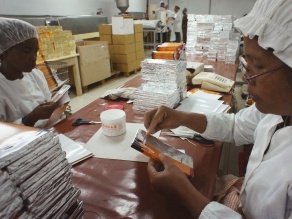 A third, smaller but nonetheless appreciated Madagascar chocolate brand is Chocolaterie Colbert. Although they do not buy and process cacao beans directly from farmers and can therefore not be classified a bean-to-bar producer, Colbert's recipes are their own and since they do buy processed cocoa from both Chocolaterie Robert and Cinagra, their final products are of single Malagasy origin. 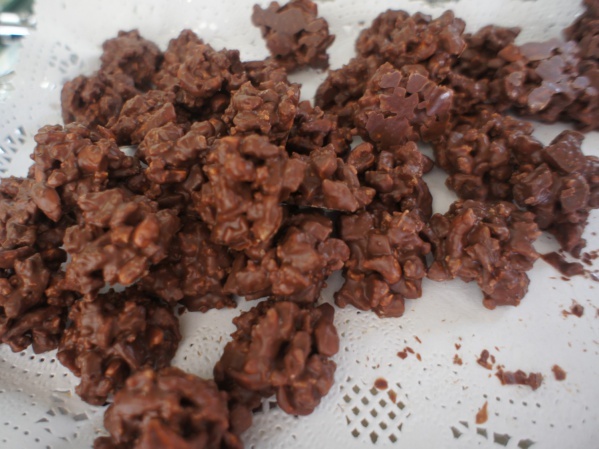 Colbert's highly priced range of pralines and chocolate bars is sold only at the Pâtisserie Colbert in Antananarivo, part of Hotel Colbert. Their bars and pralines, handmade and gift-wrapped by a small team of talented chocolatiers, are always fresh at the counter and make ideal presents for special occasions. Madagascar is not a highly industrialised nation by any measure, including its farming methods. Malagasy cacao therefore remains relatively short in supply. Perhaps this is why Madagascar's chocolate brands are not easily found in stores outside Madagascar. 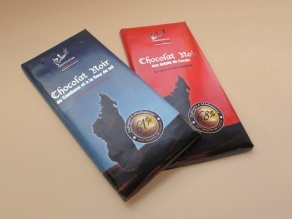 In fact, at the time of writing, chocolate brands made as well as sold in Madagascar are available only in a few select stores in France, South Africa and Japan. A tip for anyone visiting the large island: Bring as many of Robert's, Cinagra's and Colbert's bars and pralines as possible back home, as you will not likely find as high quality chocolate at as reasonable prices elsewhere in the world! If you can't buy chocolate in Madagascar, various chocolate makers in other countries offer Madagascar cocoa based chocolate, either made from bean to bar or from pre-crushed cocoa exported from Madagascar. However, such brands are mostly available in specialised gourmet chocolate stores, usually at relatively high prices. This page was last modified on 7 October 2016, at 07:51.